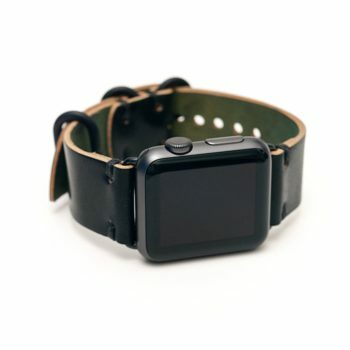 E3 Supply Co. Apple Watch bands come in a variety of finishes and colors. Made by hand in America.variety of finishes and colors. Made by hand in America. Whether they are rebuilding vintage motorcycles or crafting Apple Watch bands, the folks at E3 Supply Co. do everything by hand. It’s not that they can’t afford fancy robots to get the job done — the small team of three prefers to do things this way. Whether working from their shop in Brooklyn, New York, or from the mini leather workshop in the back of their customized 1977 Toyota Chinook, they do things the old-fashioned way. 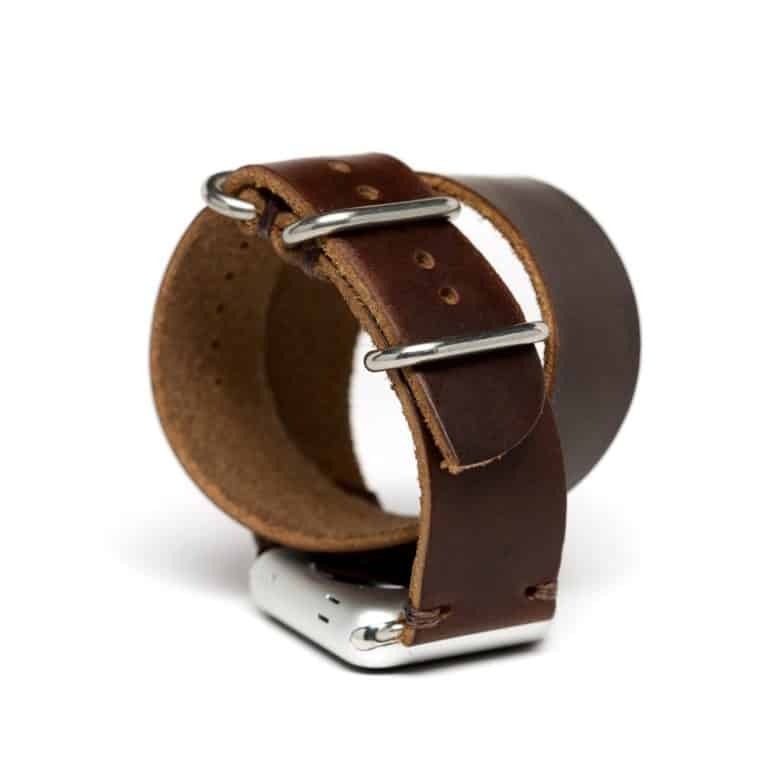 And now Cult of Mac is thrilled to offer E3 Supply’s handcrafted leather Apple Watch bands in our Watch Store. E3 sources its leather from The Horween Leather Company, a Chicago-based institution in high-quality leather production since 1905. The small company’s bio says “one guy’s obsession with building custom motorcycles has grown into a thriving leather goods business centered around the moto/travel/sustainable-living lifestyle.” That might sound super-groovy, but it provides a pretty clear picture of E3 Supply’s brawny, back-to-basics mission statement. 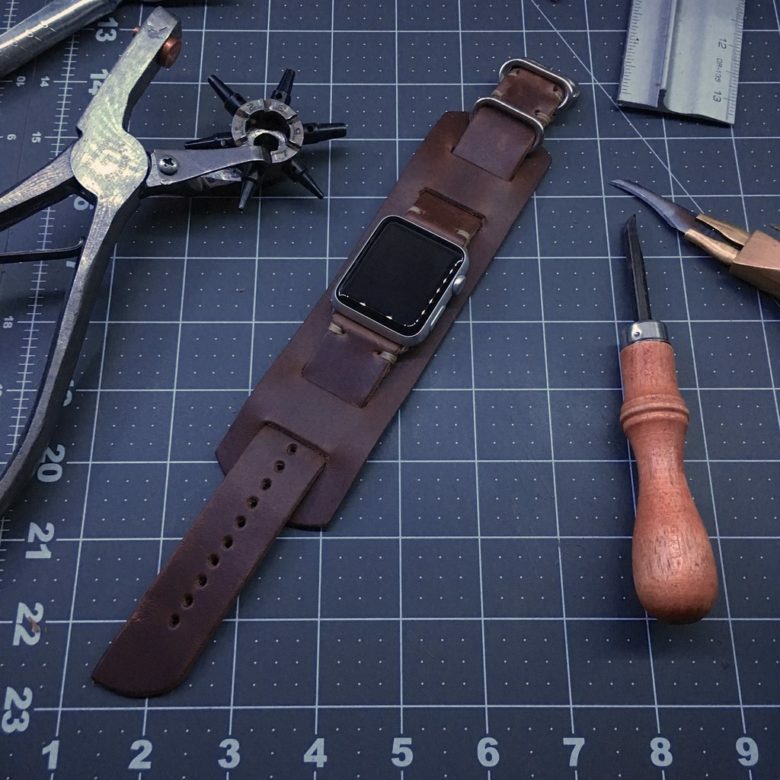 These handcrafted leather Apple Watch bands are made the old-fashioned way. In the Cult of Mac Watch Store, we work with plenty of vendors who offer premium, hand-tooled leather. But as far as we know, none of them also make rad-looking rebuilt motorcycles or limited-edition items like New York City subway token lighters or leather-bound liquor flasks. E3’s band in Burgundy Chromexcel leather. Rather than the Italian leather utilized by great brands like Strapple and Ullu, E3 opts for American hides from the Horween Leather Company, a Chicago tannery that’s been operating for more than a century. “The Chromexcel leather used to make our products is infused with an oil-and-wax blend that lends our products extreme durability while allowing them to be soft and comfortable right out of the package,” E3 says. 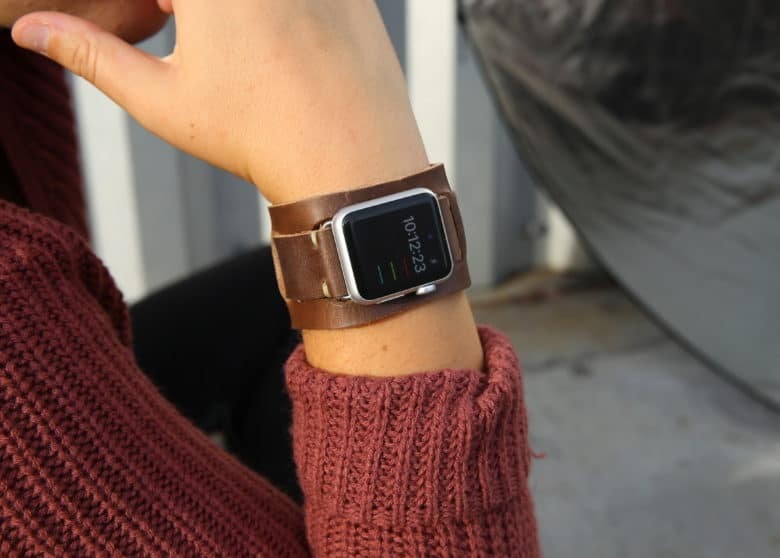 The brown shell Cordovan Apple Watch band packs a vintage vibe. 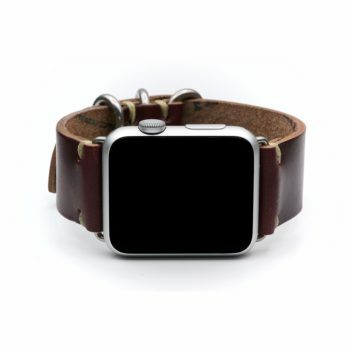 Some of the E3 Supply Apple Watch bands come in Cordovan leather produced by Horween. Rather than cowhide, it’s made from horsehide. E3’s band in Black Shell Cordovan leather with black PVD hardware. The amount of work that goes into tanning the Cordovan leather is frankly jaw-dropping. Sturdy hardware includes stainless steel or black PVD adapters with matching buckles and strap keeps. 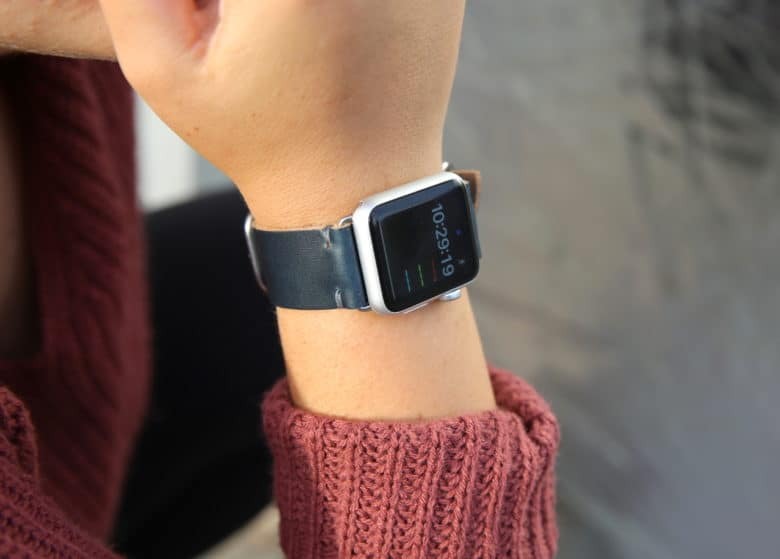 E3 Supply pays that same sort of deep attention to the Apple Watch hardware it uses. 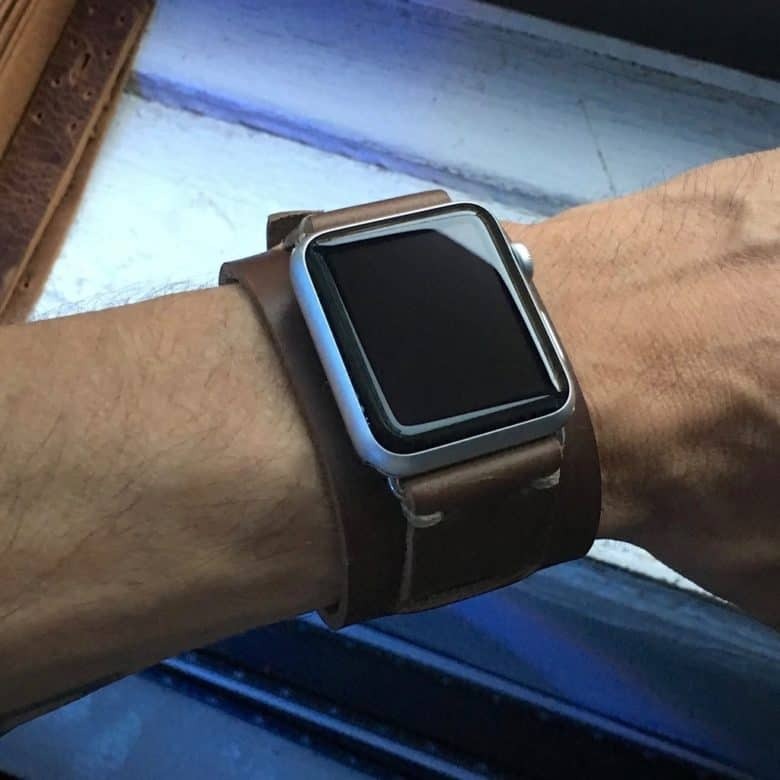 The E3 Apple Watch Cuff in Brown Chromexcel Leather. All of them bear the trademarks of the shop: hands-on craftsmanship, top-quality materials and a seriously cool vibe. 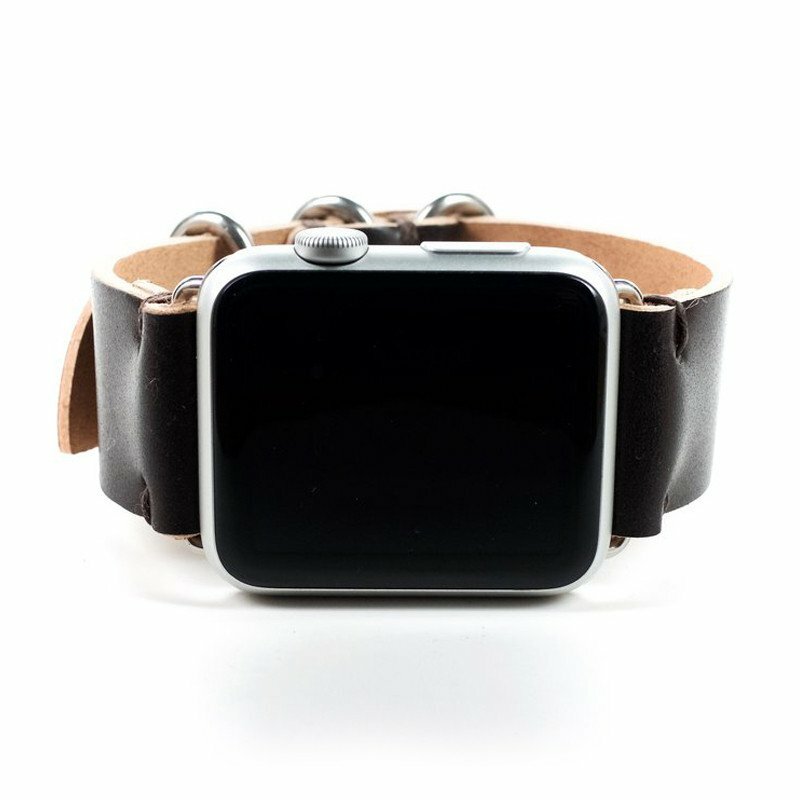 If you are looking for a distinctive, handmade (and made in America) Apple Watch band, check out the E3 Supply Co. line in the Cult of Mac Watch Store. We think you’ll like what you see.